It’s Global Youth Traffic Safety Month and to help to kick off the event, officials with the National Organizations for Youth Safety (NOYS) and teens from around the country are teaming up to fight for a safe summer on our roadways. They’re targeting motor-vehicle accidents in Boston and elsewhere considering these accidents are the number one cause of death for teens in the country. Every year, there are more than 5,000 drivers, aged 16- to 20-years-old, who are killed in motor vehicles accidents, according to the National Highway Traffic Safety Administration (NHTSA). Our Boston personal injury attorneys understand that summer is the deadliest time on our roadways for these young motorists. As we head into the summer, more and more teens will be released from school for summer break and will be hitting our roadways in search of some real fun. 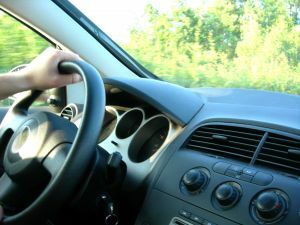 With more teens behind the wheel, risks for accidents increase. That’s why it’s important for parents and guardians to talk with their young drivers about the risks they’re facing during this time of the year. Be sure to review safe driving habits with them to make sure they’re on their very best and safest behavior. Your talk can help to save lives. “Summer is the deadliest time of year on the roads for teens,” said the Executive Director of NOYS, Sandy Spavone. The NHTSA reports that more than 400 teens die in traffic accidents during each of the summer month. This is compared to an average of less than 365 teen deaths for non-summer months. During this event, schools across the country will be holding rallies to help get these young drivers to avoid impaired driving as well as distracted driving, which contribute to a large number of these summer traffic accidents. Teens are asked to make the pledge to commit to safe driving habits and to help promote the message of it. To help to raise awareness, students will be displaying pledge links around their community. Visiting these rallies are Ray LaHood, the Transportation Secretary of U.S. Department of Transportation, Robert Sumwalt, a Board Member National Transportation Safety Board (NTSB) as well as Peter Kissinger President and CEO of the AAA Foundation for Traffic Safety (AAAFTS). National Youth Traffic Safety Month is a very important to help keep teens safe on our roadways. Families are urged to talk to the teen drivers in their lives about safe driving habits and the importance of them on our roadways. Keeping safe driving habits as a frequent topic of conversation can help to reduce the risks of accidents on our roadways over the summer months. Parents are urged to keep an eye on how many passengers are riding with their young drivers to make sure they’re not driving too late at night and to make sure they’re aware of the state’s driving laws. If you or the teen driver in your life has been injured or killed in an auto accident in Boston or elsewhere in the state, contact Boston Injury Attorney Jeffrey S. Glassman. Our law firm offers free and confidential meetings to discuss the rights of accident victims and the families of accident victims. Call 877-617-5333 to set up your free appointment today.